First game of the year at Vagicil Field. I just dread these games - when I open up Gameday for a game in Chicago vs. the Dix I could swear that I can smell urine. The Dix should get a nice turnout for a day game, because their fans don't have jobs. This game is just huge, huge, for the pennant race implications. The Tigers are currently 2 games behind the Dix, so they could draw even by winning the first 2. God, I love a pennant race - this is the most exciting one in years. This one is getting rain/snowed out too..............because MLB is stupid. I think the three teams that I despise the most in baseball are the Red Sux, Yankees, and White Sux. The White Sux are so easy to hate. Maybe I’ll use the word abhor. Nice photo to start the thread. 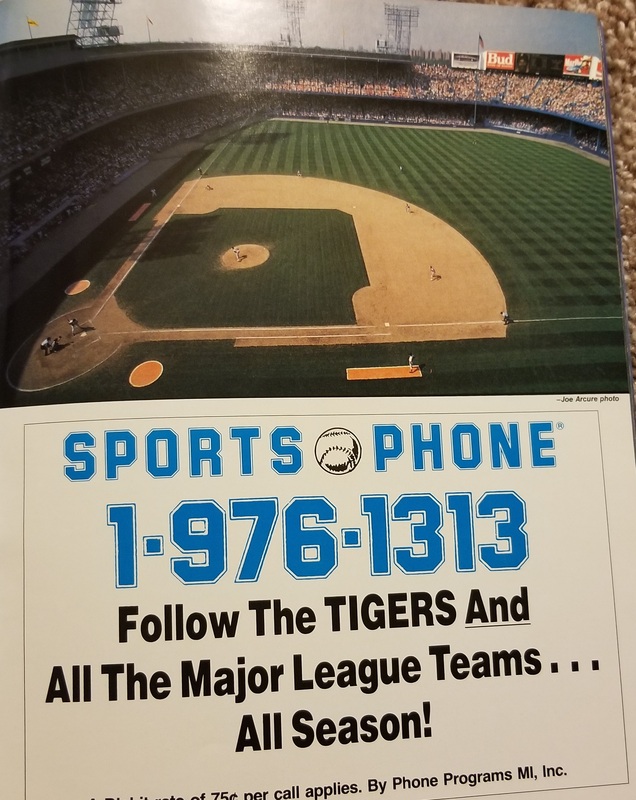 1991 was the year we first made the pilgrimage to the late and great Tiger Stadium. This still? Have a prune and go feed your cats. If only MLB held off until April 10 to play game in northern cities, they would never have games called due to inclement weather. Also, teams should call games more than 4 hours before they start, but also have the ability to move game start times 1 hour to squeeze a game in. Here's the thing.............Why can't they be moving to moving a game UP. Last night seeing that it's going to be sunny at 1pm, 2pm but the rain starts at 4pm..........and then snow. Here's the thing. The postponements have been due to precipitation. How does one prepare a schedule to accommodate daily precipitation chances? You keep wankering about temperatures. Its apples and oranges here. Eh, whatever. You keep doing you. Should'of just stayed in Lakeland. And those off days they covet so much are going away and those doubleheaders that they despise are getting scheduled anyway. This March thing was stupid. Here's the thing.............Why can't they be moving to moving a game UP. Because people bought tickets for a given start time, and moving up the start would negatively impact many, if not most, purchasers of tickets. TV and radio sets aside a block of time to broadcast the game, they can't change their schedule last minute. Workers at the stadium have a schedule and moving up a game means they have to come in early, and that may not be possible for some of them. Don't know if the players or umpire union allows for moving up game times. Other than potentially not working well with all of the principles involved in the enterprise, it is a great idea. Look at the difference in the weather between March 29th and April 10th in this area. There is usually a measurable difference. Not this year so much, but most years. Hey, but that's okay, MLB is so smart, they're not losing thousands of fans a year or anything. Their median age is creeping out of the coveted 25-54 demo as they lose touch with young fans - why would we want to improve the experience or anything? Because March 30 is significantly different than April 2. How does one predict daily precipitation on a daily basis when these schedules are put together? It needs to be a bit more thoughtful than just saying the north is cold and wet through April 10th. If only they would hold off the start of the season a few weeks, those thousands of fans would return. that actually is not such a bad idea - play a series or two of real games for the exhibition fans - at least in FLA where there aren't that many teams anymore - it would probably over-saturate the market in AR. No, there isn't. I found the data and posted it for you, but it doesn't reflect your thoughts, so you didn't acknowledge it. There is a menial difference of 4 or 5 degrees between March 29 and April 10 in this area. Go ahead, check it out. I sometimes get the sense MTS thinks he is hosting a call in talk show when he posts. Not recently. There's an exception or two, but there is a difference. Of course, 5 is pretty trivial between 50 and 55F, not so trivial between 35 and 40F. Or IOW, 5 degrees can matter when you get to where you are in the range where you have to cover your hands for them to keep working. But we are talking average temperatures of 50 and 55, not 35 and 40.